So what is competence anyway? Simply put: Competence is one’s ability to execute given tasks successfully and efficiently. And without going too much to the theoretical definition, what competence is – you need to have enough of right competence at right time to succeed in business. Also, the sooner you realize, that no-one can develop competence on anyone else’s behalf, more better off you will be. So – how do you have a good strategy for managing your talent, whether it be existing or new? I have been working now in a Cloud Competence Lead position for my employer Cybercom in Finland since 2016. In this role, I am responsible for that we as an employer provide vision, what type of competence we as a company require to be successful in our business. And what tools and methods are required to facilitate this. As the recruitment market is becoming hotter and hotter, it becomes even more important to have a clear competence development strategy in place to support organic talent growth inside your company. Relying only on external recruitment to bring in more competence might prove to be a really difficult and a long path with a lot of unknown variables. Naturally, if you are growing as a company, you need external recruitment to be able to grow. But it is also worth noting, that integrating the recruited competence and keeping that up to date is not something you can leave unimplemented. Your competence as company relies more on the competence of the teams, than competence of individuals – or at least it should. In this post, first I am going to cover how I see the vision, that what we as a company, or us as individual employees need. Then a short story, how I have paved the road to get there. This is where it all starts. To even know, what you will need in a form of competence, you need to first understand your business and your industry. The needs for competence might be identified from for example from following exiting – or emerging – trends and megatrends, customer demands or simply positioning against the competition. You need to be able to understand required competence key areas. And to identify new opportunities and the following requirements for your business. Company needs for competence usually manifest itself as a “push” type triggering. Someone will tell the employee, that some form of competence is required. However, identifying the exact needs is neither simple or straightforward. For example, for our full lifecycle approach, requirements can be quite diverse, but also very specific. Secondly, you might need to identify the new business needs for new or existing customers, and that leads to competence requirements. Company will probably also need a certain amount of trained people in selected fields based on partner requirements, if you are a part of a partnership program with formal requirements. These requirements are also usually audited regularly to renew partnership level, most often once a year. And lastly, simply put, you need to have enough competence for your production planning to succeed. You do not want your business to outgrow your ability to deliver the right competence in right volumes, or it might have really adverse effects in long term. Personal needs manifest itself usually as “pull” type triggering. People are expected to tell if they want to attend courses, gain certifications, attend to courses and so on. But to be honest, they do not always do. Personal needs are as equally important, as the company needs. In the end, these will also define, if a talented employee feels that the company is the correct place for him to work and if the company can support the employee in personal ambitions. Everyone should take care from their personal perspective, that their own competence portfolio stays up to date. And as a result, your personal market value also stays relevant. 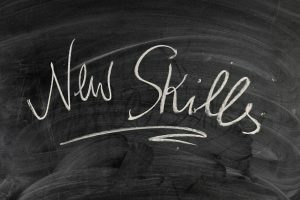 Sometimes this means acquiring new skills instead of deepening your understanding in the existing skills. And also learning things ahead of the curve. Consider themes like re-thinking your own position and competence in the organization. Or develop yourself in the new key technologies, which you need, or will need in the future at your work. 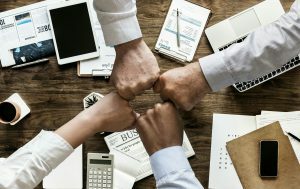 Reward models for accreditations, courses and certifications can help to the right direction, but in the end of the day won’t be any silver bullet. Employee needs to be personally motivated to develop their competence. Rewards might have some positive enforcement on that, but they have ultimately only minor effect on personal motivation. Specifically any competence development done during one’s free time should be carefully positively reinforced. Keep closely in mind, that ultimately you are responsible for your personal talent keeping up to date and it is OK to demand that you are allowed to take care of your competence. Ultimately that is to benefit everyone. Building competency inside company requires leadership and enablement. And also long term commitment, as these things do not happen overnight. Supporting the competence development of each individual, we need to also be able to support anyone from novice to expert level. Focusing on one end of the spectrum can otherwise create a competence gap which can create tricky situations, when key personnel changes assignments or even employers. To make all this to be more approachable to employees, we also utilized internal branding. These are internally called AWS Academy and Azure Academy respectively, with structured form of documentation and discussion forums. There is a library full of internal documentation under the topic of Cloud Delivery Handbook which is refined information from multiple actual implementations – information which is not usually directly stated in technical documentation from the vendor. Using branding is an easy way to bring these types of concepts more down to earth. It is also a cornerstone that everyone has the possibility to participate and ask questions from peers and more senior experts. Lowering the bar is of the essence here. One of the more traditional approaches to building competence is straight up training- whether it is internally or externally organized. Internally, training belongs more to the Cloud Academies in our apporach, where we provide either peer to peer learning opportunities and also regularly organized webinars and on-site training sessions. Internal trainings should be considered public in a sense, that information of all training sessions arranged internally, should be freely available and allow anyone interested to join. We regularly utilize recording abilities for example in Skype sessions to make content available for offline viewing. People should be self-steering, that they know if internal training will be relevant for their work. 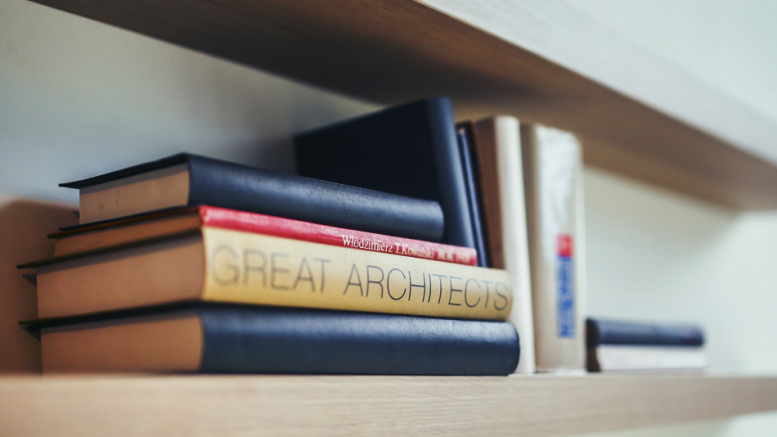 Books fall somewhere in the area between of internal and external training, as the content is produced by external parties, but the slots allocated to learning and reading are somewhat organized as part of the internal work. External training is still a very relevant approach, especially for efficiency reasons and also supporting different learning requirements for different people. Some prefer to read, some prefer to watch or listen and some prefer hands-on learning. The preference here is really personal and should be supported in a way, which makes the learning experience efficient for each individual. We have also a concept called Innovation Zone which we utilize heavily in learning new concepts and combining technologies, often in co-operation with customers. 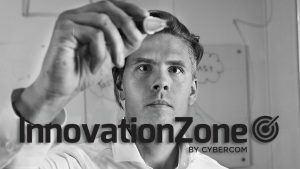 Innovation Zone offers the possibility to evaluate and assess new ideas, develop working prototypes in emerging technologies and run pilot projects in an agile innovative environment. It also provides a playground for learning and personal competence development, if you are between assignments or just need tuning out for a while from normal duties. We have traditionally had a strong partner strategy with technology vendors and CSPs. Over the years this list has included such household names as Red Hat, NetApp, AWS, Microsoft and more. The partnership programs quite often have different partner tiers and those have some formal requirements. Usually based on the number of certified personnel or client references, but sometimes also based on the volumes. So how are we putting everything this in to use? We have now been systematically building our Cloud Academy approach and continuing to build on top of the existing experience and taking it further. We have reached new audited partner levels and have had a systematical approach in supporting people getting trained and certified for partner technologies. As a one measureable result of this all, last week we achieved AWS 50 Certifications milestone. This in itself is naturally an impressive achievement in a relatively short timeframe, but these certifications are really dispersedly distributed across our organization. This makes our whole operations from Advisory consultation to Professional Services and all the way to MSP 24/7 operations to have good baseline knowledge of technologies involved in the daily work. Managing competence is not an easy task, as you need to factor in all the factors creating the demand. And then you need to factor in all the methods to serve this demand. In the end, it boils down to one simple truth, where we started: no-one can develop competence on anyone else’s behalf. So whatever your approach is, be prepared to support the individuals and teams holding the actual talent.